If you have never dined at Mitzo before, it is about time you give this stellar establishment a shot. Trust us, you will only regret not visiting Mitzo earlier. The fancy Chinese restaurant is helmed by Executive Head Chef Nicky Ng, whose previous stints include the honourable role of Executive Chef de Cuisine at Michelin-starred restaurant Hakkasan in New York City. The Holiday Champagne Brunch is available from 11.30am to 2.30pm on the following dates: 24, 25, 31 Dec 2016 and 01 Jan 2017. This 3-hour feast boasts an impressive selection of sweet and savoury items. There are over 40 varieties, so be prepared to be beyond spoilt for choice. A few dishes are making an appearance exclusively for this holiday brunch only, namely Crispy Soft Shell Crab with Curry Floss, Deep-fried Lobster Claw wrapped with Salted Egg Puff, Steamed Scallop in Hollandaise Sauce and more. Most epicureans may argue that seafood should always be served as is, but Mitzo’s deep-fried crustaceans might just change your mind about that. Kudos to the A-team for achieving the impossible; the soft shell crab and lobster claw remains oh-so-tender despite being deep-fried. The curry floss and salted egg puff are incredibly light and make it easy to chomp through. Mitzo is renowned for their Special Barbecue Pork and guess what? This signature dish is still part of the Holiday Champagne Brunch. FREE-FLOW, GUYS. We still vividly recall our very first time savouring this divine char siew; fork-tender roasted pork coated with a crisp caramel which melts in your mouth. We had it way too many times, and if any, we are only loving it more and more. 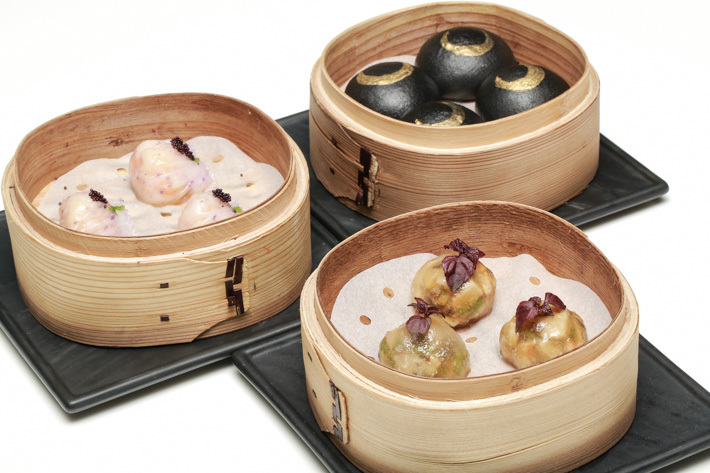 The spread also includes Mitzo’s specialty roasts, wok dishes, a plethora of supreme seafood delights and the usual handcrafted dim sum such as charcoal liu sha baos and royal shrimp dumplings. This all-you-can-eat fiesta costs S$88++ per adult and the price includes a choice of one glass of beer, champagne or wine. While the cocktail and dim sum pairing might sound strange to first-timers, we have learnt to relish this intriguing concept. This unorthodox combination sure does grow on us like what a cheese and wine pairing does! 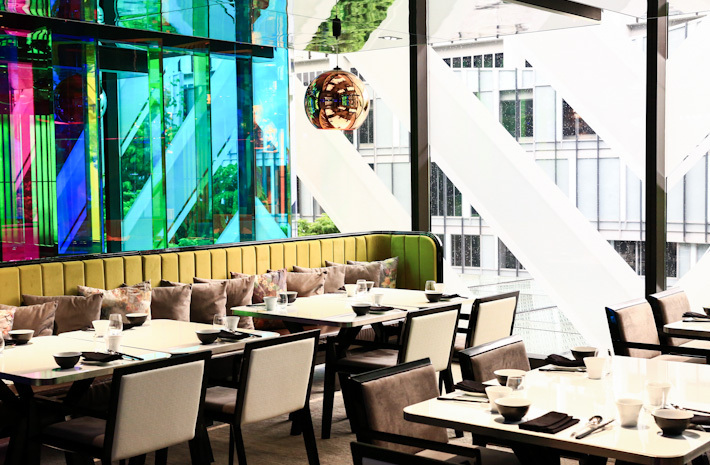 Which brings to our next point—top up S$60++ to enjoy free flow beers, champagne, wines and artisanal cocktails. Should buffets not entice you, perhaps you may want to consider the two other 5-course Festive Set Menus instead. The Festive Merriment I and Festive Merriment II are priced at S$88++ and S$118++ per pax respectively. There is a nominal top-up of S$30++ for two cocktails. The Festive Merriment I Set showcases the Festive Steamed Dim Sum Platter (which comprises Steamed Lobster Har Gow, Scallop Dumpling and Chicken Dumpling topped with Shaved Truffles), Double-boiled Maka with Clam and Chicken, Braised Abalone and Asparagus King Prawn Skewers, Steamed Rice served with Truffle Wagyu Beef and Champagne Jelly. On the other hand, Festive Merriment II includes a Festive Platter (which consists of Mitzo Special Barbecued Pork and Crispy Soft Shell Crab wrapped with Salted Egg Charcoal Puff), Double-boiled Abalone Soup with Winter Melon, Pork Ribs and Lotus Leaf, Steamed Live Boston Lobster, Poached Noodles topped with Pork Ribs and Champagne Jelly. The oriental Champagne Jelly dessert is served in a gorgeous spherical glass, and contains refreshing rose tea crush and lychee caviar that explodes instantaneously in your mouth and topped off with edible flowers; no less! 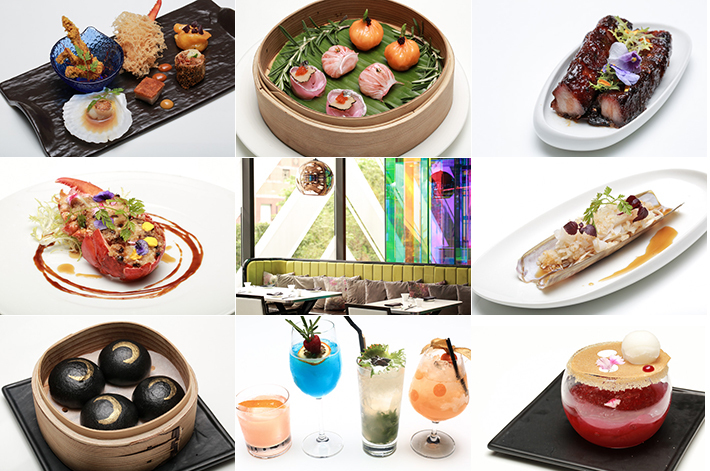 For those who prefer to order from the a la carte menus, you will be pleased to know that the Festive Steamed Dim Sum Platter (S$38++), Steamed Live Boston Lobster (S$68++) and Champagne Jelly (S$18++) are also available as a la carte options. Mitzo is also launching two festive tipples Yuletide Cheers and The Magic Julep during this festive period (between 10 Dec 2016 to 01 Jan 2017). The Yuletide Cheers is a mixture of prosecco, whisky infused with chamomile tea, lemon juice, apple-rose syrup and topped with redcurrant foam. Whereas the Magic Julep is a concoction of egg white, passion fruit juice, lemon juice and rum infused with cinnamon and garnished with campari sugar and mint leaves. The festive cocktails are available on the ala carte menu or part of pairing options of the set menu. This post is brought to you by Mitzo Restaurant & Bar. Wow! All of the dishes look so delicious.